Car rental in Siliguri is perfect for people who are planning for vacation in India. Explorers find Siliguri as one of the best places which are situated close to the Himalayas. But to explore the city you need car rental services as it is difficult to find car at every place. FabCab car is always available at your service and will take to all the places for new experience of life. Siliguri car hire services allow online booking so they are even ready to attend you at the airport which is very helpful to you. Booking a car for traveling the city is within your budget and there is special tour package which will cover a number of places with a good discount. 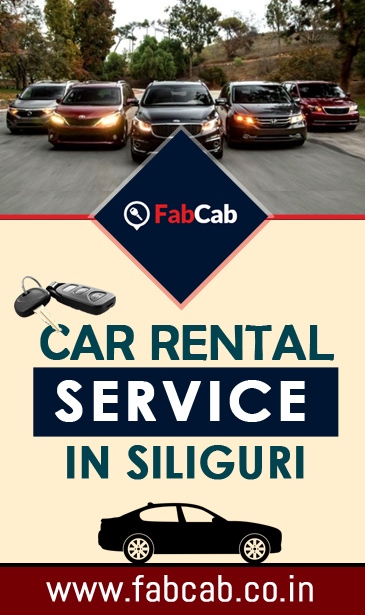 WHY OPT FOR SILIGURI CAR RENTALS BY FAB CAB? Siliguri car rentals allows a normal person also to afford it and enjoy the city with all comforts. The rate which you see online is only paid and there are no extra charges while you opt for Siliguri taxi rental services. Fab Cab car service does not have any broker and so no extra fees are to be charged. The customer can contact them directly or book a car online for them which save your money. Most of us are interested in the style and model of the car even booking car for rent. So, while opting for car rental in Siliguri one can have wide varieties of options to select best car. It is dependent on us to choose one among them which is well suited on our personality, budget and requirements. You can make payment by any of the visa card or credit card and many more. It also offers the fuel-efficient cars for some limited areas only. Chauffer’s are well trained and experienced and so can drive best even in Himalayan region of Siliguri. Customer safety is our responsibility and so make sure they don’t face any issue. Siliguri is in the heart of some of the favourite destinations like Sikkim, Darjeeling, Bhutan and Nepal	.